Did you know that Santa Claus has Scout Elves? 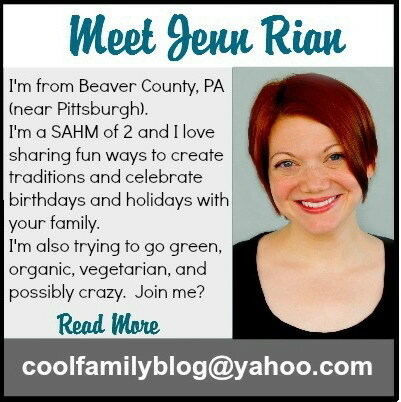 Your family can adopt your very own scout elf! Your elf will come to your home, keep an eye on the kids, and then report naughty and nice behavior to Santa every night. Your elf will land some place different each time (s)he returns from the North Pole, so you’ll have to look for it every day…but don’t touch the elf or it could lose its magic! I’ve been hoping for years that Santa would send an elf to our family. 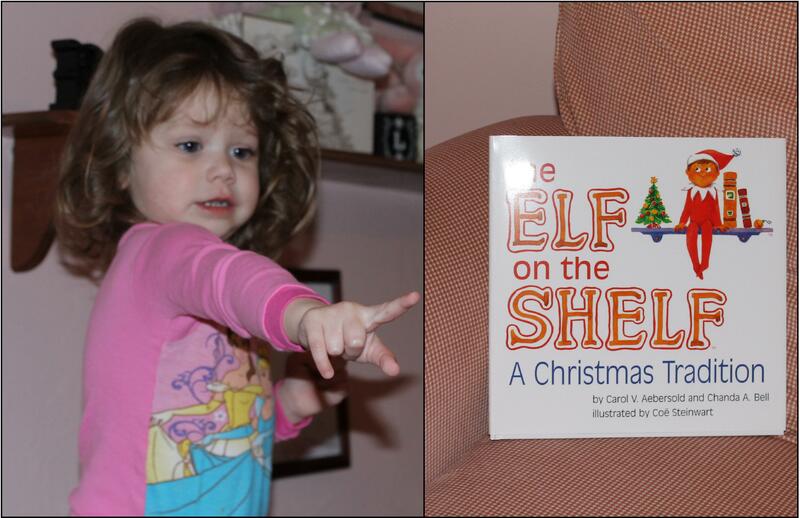 This year Adaline was finally old enough to truly enjoy an elf. When I saw ”An Elf’s Story” on tv I ran to the VCR (oh yes, don’t be jealous of my up-to-date technology) and recorded it. On November 30 before bedtime we showed Adaline ”An Elf’s Story”. She loved dancing around to the songs and she was worried about Chippey when he lost his magic. 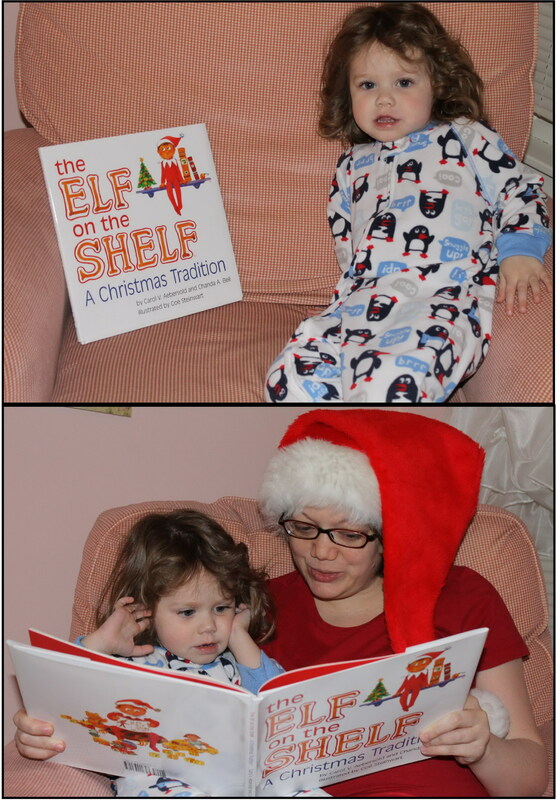 When we brought Adaline up to her bedroom we were all surprised to find “The Elf on a Shelf: A Christmas Tradition” book waiting on Adaline’s chair. Once she was dressed for bed we read the book. The next morning Adaline was so excited to find that her very own Elf on the Shelf was waiting for her. It took Adaline awhile to give our elf a name, but it was important to me that she name him herself. She always comes up with creative names for her toys and that very day she named her toy zebra “Cupcake” while our elf remained nameless. Most of the time she just called him the elf and sometimes she called him “Chippey”. At around 1pm she finally named him…Beego! (His full name is Beego Sprinklepants). 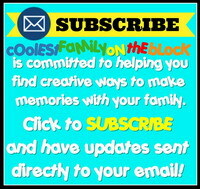 I’ll be posting Beego’s adventures weekly. Does your family have an elf? Let me know in the comments! 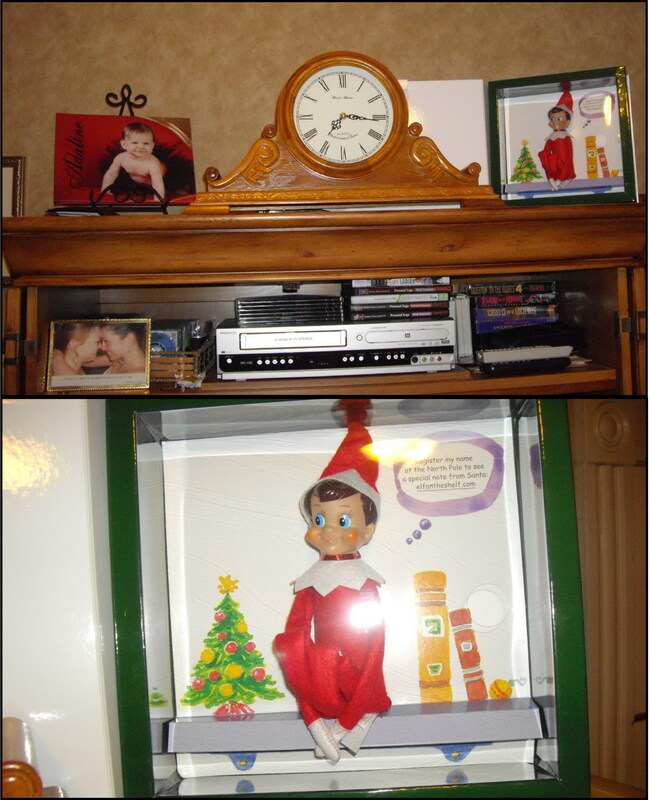 **Our family paid for our own elf adoption fee. All opinions expressed are my own. Posted on December 8, 2011, in Christmas, Elf on a Shelf, Holidays, Traditions and tagged Christmas, elf on a shelf, Holidays, Traditions. Bookmark the permalink. 3 Comments. I just found out about The Elf on the Shelf tradition. I can’t wait to have little kiddies to rope into Elf-induced silliness and spirit! It looks like so much fun! Awwww so cute! I’ve never heard of this before!